Samurai Japan surrendered the lead late and lost 4-3 to South Korea in their semifinal of the Premier12 at Tokyo Dome on Thursday night. Korea advanced to today’s final, while the Samurai play in the third-place game. The dome became filled with shrieks in the ninth inning when Japan’s relievers were unable to protect a three-run advantage, the Samurai hitting a roadblock on their way to being the best team in the world. Japan was left in a stupor while watching the celebrating Koreans. That told the story of the depth of an opportunity lost after failing to close out a victory. Samurai Japan skipper Hiroki Kokubo managed the game according to the plan he had drawn out ahead of time. 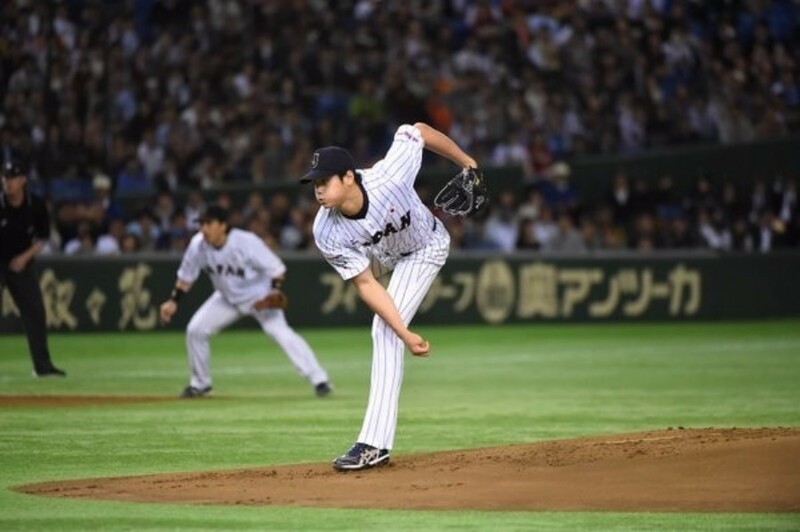 He gave the ball to Tohoku Rakuten ace Takahiro Norimoto — who was sharp as could be having made three previous appearances in the tournament without allowing a run — to take over as the first man out of the bullpen. The right-hander did just as expected in the eighth inning, retiring the side in order, but a trap door was waiting for him in the ninth inning. The Koreans, who turned to pinch-hitters, started looking for his offspeed pitches and three consecutive hits to open the inning resulted in a run. Norimoto then hit a batter to load the bases with no outs, and Japan sent Yuki Matsui to the mound. The 20-year-old lefty was swept up in the tide as well. “I needed to go at them a little more,” Matsui lamented about trying to hit the corners with his pitches in a matchup that resulted in a five-pitch walk that forced in a run. He left the game after that at-bat. Hirotoshi Masui came on as the fourth pitcher and gave up a two-run single to Lee Dae Ho that put the Koreans in the lead. “I didn’t think we had won the game with three runs,” Kokubo said of this squad, which put up a three-spot in the fourth inning. Meanwhile, Fukuoka SoftBank Hawks skipper Kimiyasu Kudo was named winner of the prestigious Matsutaro Shoriki Award, it was announced Thursday. He guided his team to back-to-back pennants — clinching on Sept. 17, the fastest in Pacific League history — in his first year in charge. The Hawks also completed a Japan Series repeat.